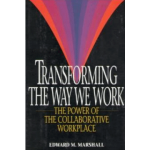 Dr. Edward Marshall is Founder & Managing Partner of The Marshall Group, LLC, and serves as a strategic consultant, trusted adviser, and change facilitator for senior leadership of Fortune 500 as well as medium-sized businesses in the US and globally. He is best known as a pioneer in the filed of collaborative leadership and culture change, and has led hundreds of leaders and teams through results-based collaborative change. He is Adjunct Professor at the Fuqua School of Business at Duke University where he teaches leadership to MBA and Masters of Engineering students at the Pratt School of Engineering. For his work in building trust through collaboration, in 2015 Edward received a Lifetime Achievement Award as a Trust Thought Leader from Trust Across America/Trust Around the World. He has also received the prestigious Excellence in Organization Development Award from the American Society for Training and Development for his ground-breaking work in collaboration at DuPont. Dr. Marshall is an expert in working with senior leadership to facilitate initiatives that result in high trust cultures, bottom line results, and sustainable growth. 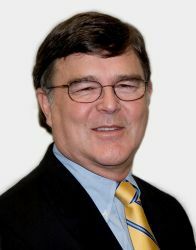 Edward is an adaptive change agent with numerous success stories in leading organizations through culture change, senior team trust-development, strategic planning, growth strategies, IT integrations, reorganizations, business process redesigns, and mergers – resulting in increased productivity and optimized performance. Edward also specializes in working with virtual and matrixed organizations, helping them build trust for high performance. Edward is also cross-functional leader and facilitator who interfaces comfortably with diverse stakeholder groups to foster consensus-based alignment and shared vision. Dr. Marshall is an award-winning innovator and thought leader who has worked with about 100 senior leadership teams at top national and global companies to produce measurable results that align with strategic goals. Edward is a Duke University Certified Business Coach and American Management Association best-selling author. Executive Coach for C-Level Leaders: Since 1995, Edward has served hundreds of leaders as a certified executive coach in companies like DuPont, Microsoft, VMware, VF Corporation, Robert Half, International, and many others. His certification came from Duke University. He is a member of CoachSource, the country’s largest coaching organization. Published Author of Best-Selling Business Books—Authored two best-selling American Management Association business books: Transforming the Way We Work: The Power of the Collaborative Workplace, which was a Knight-Ridder best-seller, and won several awards from the American Management Association and the Society for Human Resource Management. His second book, Building Trust at The Speed of Change, was also a Knight-Ridder best-seller. 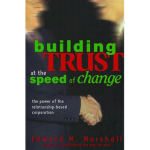 Contributing author to The Culture Advantage, and to two Trust, Inc. books. Contributing author to Trust, Inc.: 52 Weeks of Activities and Inspirations for Building Workplace Trust, Trust Across America, 2014.